The detection of lymph node metastases in bladder cancer has a significant impact on treatment decisions. Multiple imaging modalities are available to clinicians including magnetic resonance imaging, computed tomography and positron emission tomography. We aimed to investigate the utility of alternate imaging modalities on pre-cystectomy imaging in bladder cancer for the detection of lymph node metastases. We performed systematic search of Web of Science (including MEDLINE), EMBASE and Cochrane libraries in accordance with the PRISMA statement. Studies comparing lymph node imaging findings with final histopathology were included in our analysis. Sensitivity and specificity data were quantified using patient-based analysis. A true positive was defined as a node-positive patient on imaging and node positive on histopathology. Meta-analysis of studies was performed using a mixed-effects, hierarchical logistic regression model. Our systematic search identified 35 articles suitable for inclusion. MRI and PET have a higher sensitivity than CT while the specificity of all modalities was similar. The summary MRI sensitivity = 0.60 (95% CI 0.44–0.74) and specificity = 0.91 (95% CI 0.82–0.96). Summary PET/CT sensitivity = 0.56 (95% CI 0.49–0.63) and specificity = 0.92 (95% CI 0.86–0.95). Summary CT sensitivity = 0.40 (95% CI 0.33–0.49) and specificity = 0.92 (95% CI 0.86–0.95). 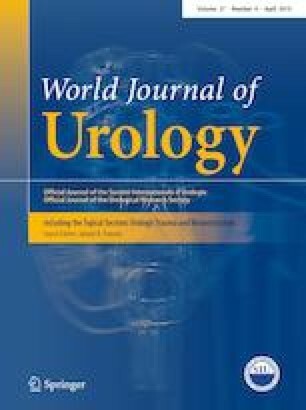 MRI and PET/CT provides superior sensitivity compared to CT for detection of positive lymph nodes in bladder cancer prior to cystectomy. There is variability in the accuracy that current imaging modalities achieve across different studies. A number of other factors impact on detection accuracy and these must be considered. JC: project development, data collection, data analysis, manuscript writing/editing; NP: project development, data collection, data analysis, manuscript writing/editing; MP: data collection, data analysis, manuscript writing/editing; BN: data collection, data analysis; DB: manuscript editing; SS: manuscript editing; NL: project development, manuscript editing. This project received no funding. The authors declare that they have no conflict of interest. This project did not require formal ethics committee approval. For this type of study formal ethics approval is not required.